We flew to Prague in the Czech Republic and then cycled south to the border with Austria. The Czech countryside is very beautiful and changes constantly from fields, to woodland to lakes and the roads are quiet and in great condition, perfect for cycling. 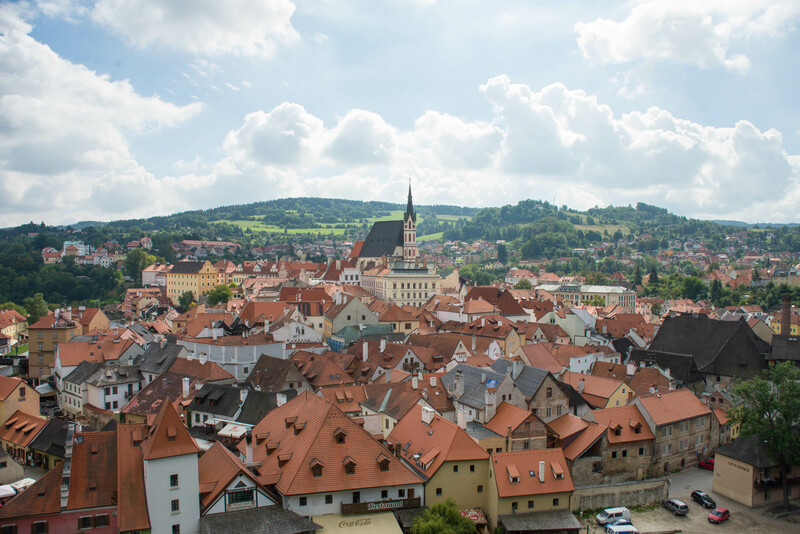 Although sunny and warm during the days, the temperature dropped at night, and I spent a cold and uncomfortable first couple of nights wild camping.By far our favourite place in the Czech Republic was Cesky Krumlov. This UNESCO heritage city was situated in the u-bend of a river and overlooked by an impressive castle making it a very picturesque place to visit. We continued cycling south until we hit the border with Austria, the moment we crossed the border we noticed an immediate difference in the architecture and the wealth. 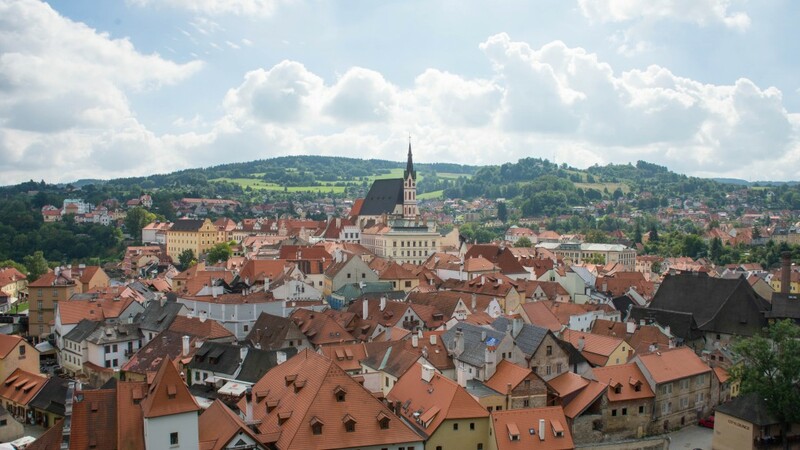 Austria is a much more affluent country than the Czech Republic and it is apparent. We really loved cycling through Austria, the cycle paths were great, the country was very cycle-friendly, the food was excellent (especially the schnitzel) and it was so clean and litter-free. 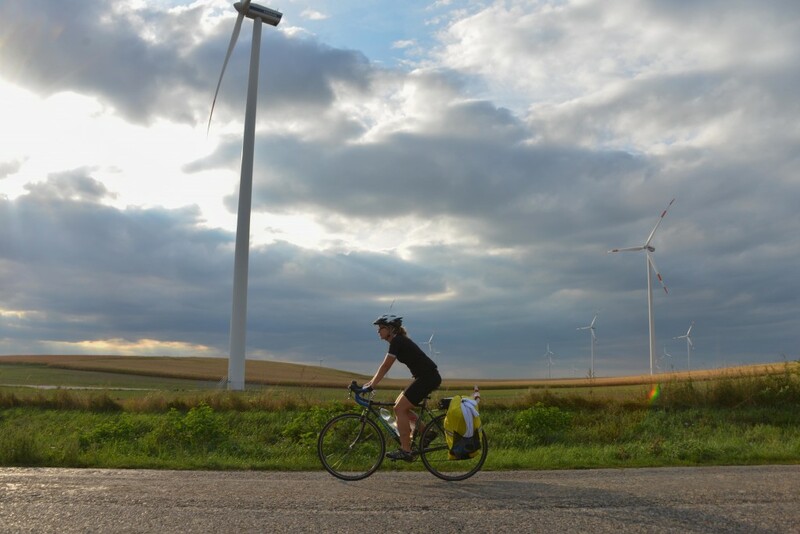 When we reached the Danube the ride became pretty flat, which was good news, as on one leg of our journey in order to visit a family member in hospital we had to undertake a mammoth ride covering 125 miles (202km) in one go – and with a terrible head wind! We arrived into Vienna very late at night and pretty exhausted. However, Vienna was a lovely city to visit and we also got to catch up with family and friends which made it even better. We only spent one afternoon in Slovakia, having lunch in Bratislava (which seemed a nice but somewhat underwhelming city) and then a short ride along the river until we reached Hungary. One of our top places to stay was a campsite which included access to the thermal spas and medicinal baths in the price of camping! Soaking in the baths and rejuvenating our worn out thighs was blissful. Unfortunately the bike paths in Hungary were the worst we had come across on our trip, often rough terrain or running along a busy highway they made for some not so great days but once we got back to the Danube life was good again. Following the river took us through vineyards, past impressive castles high on the hills, national parks, beautiful cities such as Ezstergom and right into Budapest (however we did cheat a little taking the train the last 20 miles or so). 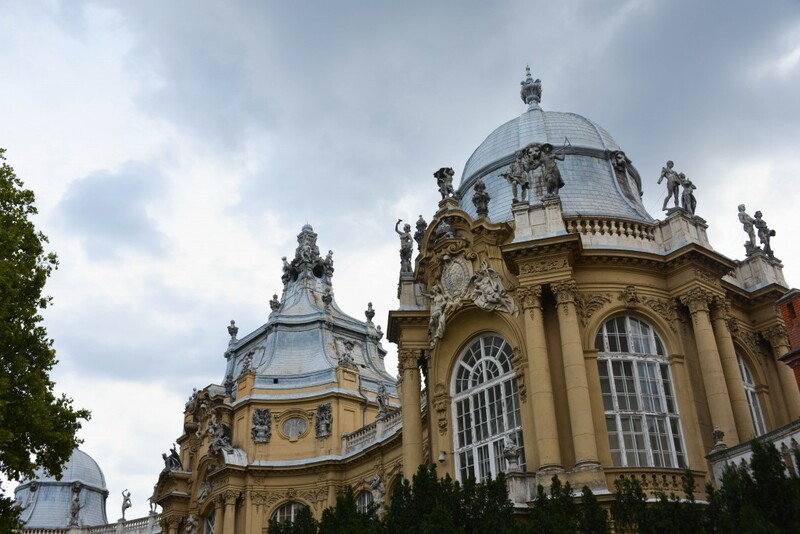 A historic and grand city we both loved exploring Budapest and spent most of our time either soaking in the thermal spas (of which there are many) or enjoying the delicious sausages and soups! What a great place! 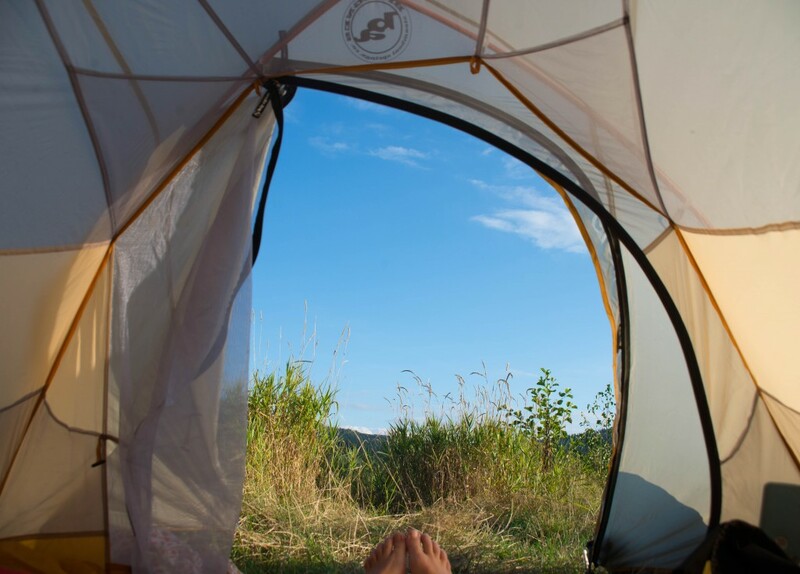 Do you recall the campsite with thermal baths were? However when we were there it was not so touristy as the website makes it look so maybe things have changed? We were also there off-peak and late in the evening about 2 hours before it closed, so there were only a handful of people milling about the campsite and pools. It was very lovely and reasonably priced, I hope you have the same experience. Enjoy the ride and all the best.